Triumph Thruxton is an attractive vehicle known for its stunning looks and advanced technology which guarantee great performance. Read the review to explore the features, technical specifications & price. 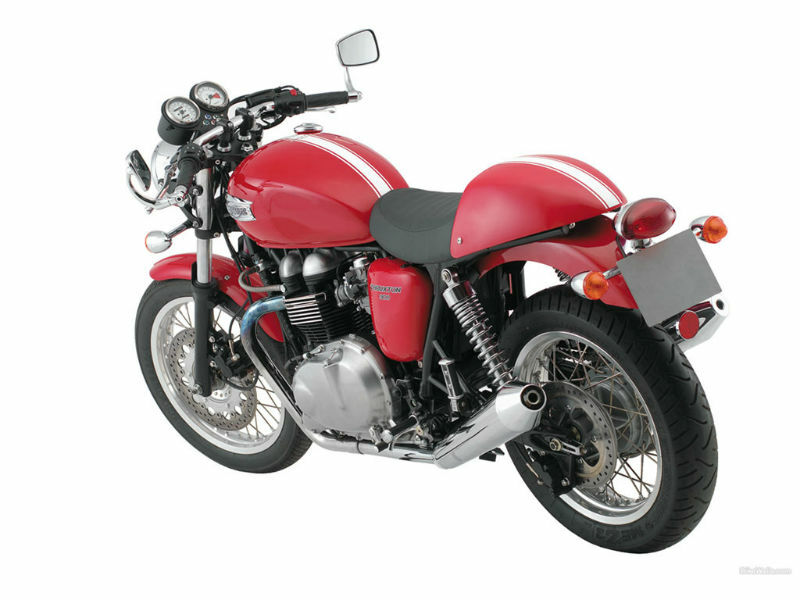 Triumph Thruxton is one of the popular motorbikes of the company which is inspired by the famous 'Ton Up Boys' of 1960 and serves as the attractive sporty vehicle. The bike is structured long, low and follows the aerodynamics neatly thereby assuring safe drive. This cool, classic and impressive bike with unmatched looks is fitted with latest technological feature to provide better performance and thrilling speed. The new Triumph Thruxton is known for its powerful performance which is made possible because of its 865 cc, 8 valve, DOHC, Parallel twin engine. The revised camshaft and high compression piston used helps to generate the maximum power of about 51 kW at 7400rpm and gives the highest torque of about 69 Nm at 5800rpm. This power so generated reaches its wheels through 5 speed gearbox. Triumph Thruxton looks attractive with its sporty looks, low rise bars, trendy headlamp design and comfortable seating position. Although not much work in done on its body, the bike has the power to impress every passerby by its classic design. The neatly placed engine with the well designed exhaust pipe serves as the major plus point as it adds a lot to its looks. With all its appealing structure and comfort the bike serves as one of the most popular vehicle globally. 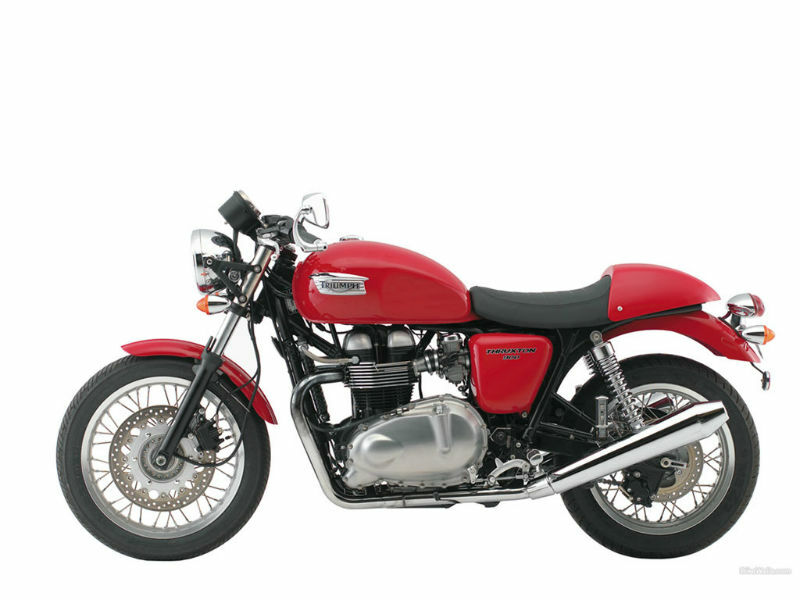 Thruxton uses the quality chassis which helps in smooth, trouble free ride. The suspension of the vehicle including the front Kayaba 41 mm forks and rear Kayaba chromed spring twin shocks assure good riding experience. Further the disc braking used both at the front and back wheels provide quick braking of the vehicle within a short distance thereby giving complete control to the rider. 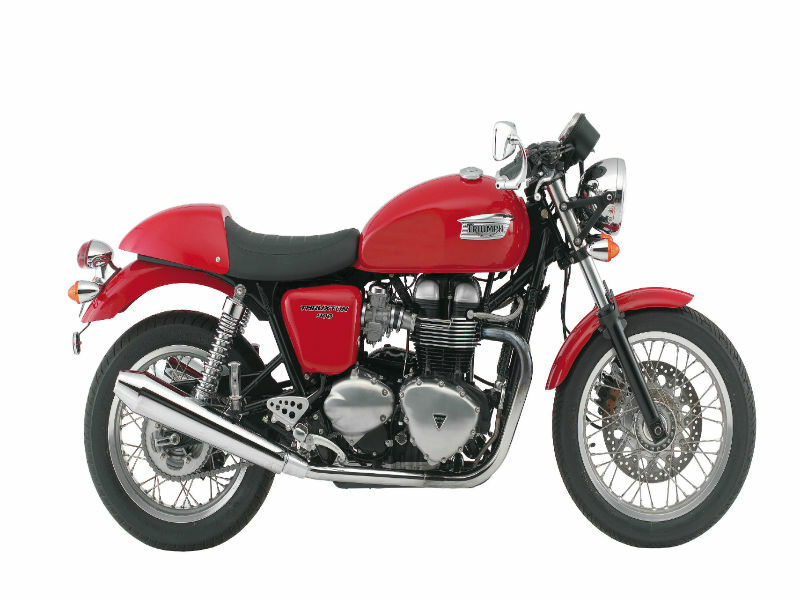 Triumph Thruxton is said to give a descent mileage of about 20 kmpl. The ex-showroom price of Triumph Thruxton is expected to be close to Rs. 9,00,000 however, the exact details about it is yet to be known.